Before going through the upgrade of your gateway’s firmware, verify the model number and the Annex of your Linksys ADSL gateway to ensure that you’ll download the correct file. To find the model number and Annex of your Linksys ADSL gateway, click here. • To prevent upgrade failures make sure that your computer is connected to the router using an Ethernet cable for stable connectivity. 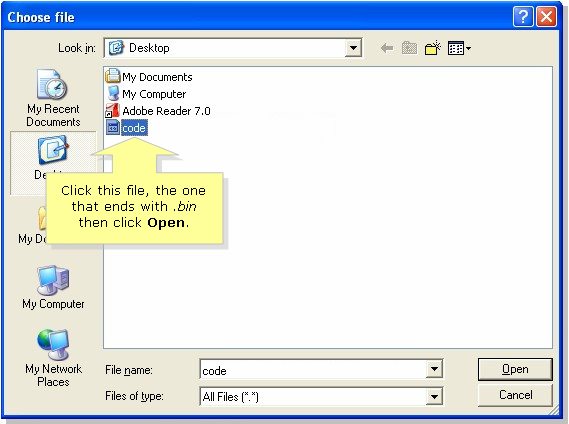 • Use a different browser if Internet Explorer doesn’t work or use a different computer to perform the upgrade. • To prevent failure, disable firewall to ensure that the upgrade will not be disrupted. • After the upgrading process, it is recommended to reset the router so it's important that you take note of all the user settings before upgrading your router's firmware. For instructions in downloading the ADSL gateway’s firmware, click here. Browse to where the firmware files were extracted and select the .bin file, then click Open. 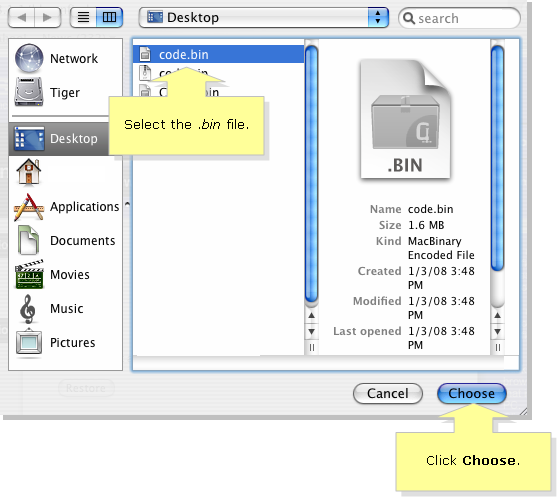 If you’re using a Mac computer, select the .bin file then click Choose. Reset the gateway to ensure that the new firmware loads properly. Press and hold the Reset button for 30 seconds. For instructions, click here. NOTE: The image of your gateway may vary from what is shown below. In this example, the Linksys WAG54GX2 ADSL gateway is used. You may now use the gateway's Setup Wizard CD to configure your Internet service and set up your wireless connection.